In honor of all those who have served, especially those who gave everything, 307 Tree Service has adopted Veterans Park. We will maintain the health of the trees there for all who wish to visit. To show our respect for those and the families of those who are and have served in order for us to enjoy such freedoms like this park. 307 Tree Service, LLC has the experience you can trust to keep your property safe. Our certified experts can provide a full tree risk assessment so you know if your property has trees that are unsound or potentially dangerous. Our tree services include: tree trimming, tree assessments, tree removal and stump grinding. If you have questions about the whether the trees on your residential or commercial property are safe and healthy, call 307 Tree Service for a tree inspection today. Our experts will walk you through any potential threats your trees pose and provide any tree removal, tree trimming and stump removal services needed. Call us today at 307-258-9121. Our experts have the qualifications you are looking for when you need to take care of your property. We are fully licensed and insured and handle each job with safety and care. Unsure if you need any tree services for your property? Call 307 Tree Services and let us know if you see any warning signs in your trees. Our experts follow tree removal standards set by the International Society of Arboriculture to ensure the safety and efficiency of every tree removal service. Click here to see if you have any trees that need to be removed from your property and call 307 Tree Service for all of your tree services. Adam is one of the nicest people you will meet, removed 4 trees and trimmed 1 up. Did it in a timely manner and CLEANED up the mess, the mark of a great business man. Adam and his father did a fantastic job would highly recommend to any one. Adam and his crew did an excellent job on many trees on our property. He was quick to provide the estimate and scheduled the trimming at a time that was best for the trees! He and his crew kept working despite a freak downpour (in October!). Our trees look amazing! His pricing seemed very fair. We couldn't be more pleased and recommend him highly! The crew at 307 were extremely professional, fast and respectful of our property! We had three huge cottonwood trees and they had them cut down to the ground and the wood taken away in 7hours! I highly recommend them. They are also fair priced!! Thank you 307 Tree Service!! Adam and his crew did an amazing job on our trees! He was flexible and great to work with! Now I don't have to worry about the broken branches that were a hazard waiting to happen. I highly recommend 307 Tree Service for their knowledge, flexibility, and great work! I got two bids: one from 307TreeService and one from the another company. 307TreeService's bid was roughly 1/3 of the other bid. Needless to say, I went with 307TreeService. Adam is a professional and it shows in his work. Adam bid out the job with and without carry away in case I needed to save a little cash, and he was able to do the job within days of giving me his bid. Totally recommend them 100%. Did a great job. Cleaned up years of neglect to my trees for a fair price. 307 Tree service is wonderful to work with. They are dependable, prompt and their work is impeccable. I have used this company for several years for my multiple trees. I have never been disappointed. Should you need any tree service, I highly recommend 307 Tree service. Thank you Adam and crew for a job well done!. They came and cleared three large trees that had become a hazard. They took down two messy Russian olive trees and an over grown poplar in less than three hours while a cold wet snow continued through out the three hours. They cleaned up the mess as well. Adam was the most reasonable priced of the three bids I received. He explained how and what he would do to down the trees that were all backed up against a fence. I would recommend him to anyone as he and his crew were proficient and professional. Thank for a job well done Adam and crew. High quality work and best price quote I received. Adam is very professional, dependable and polite. He has an extensive knowledge of trees. Last week, he cut down 2 large dead elms, trimmed 2 large cottonwoods and removed all the debris for me. Excellent job! High quality service! Very knowledgeable, polite guys performing tree trimming service. Also entertaining to watch. Adam and his crew are amazing, removed an old cottonwood that was huge in 1 day and removed all the debris at the most reasonable price in town. Thanks again Adam for a great job. 307 did a sure job on removal of 3 large Lombardy poplar problem tree and a dead Cottonwood on our property. Efficient and conscientious workmanship. Adam and his crew did an amazing job taking down two messy Russia olives and a huge poplar. He did all of this in less than three hours. His price was less costly than two other bids I received . I appreciated his explanation on what and how he would bring down our unruly trees. ....and his willingness to finish the job in spite of the wet, cold snow. Thank you Adam, may your business flourish and you and your crew remain safe. When we initially contacted 307 Tree Service we already had a meeting with another tree service company that did not return our phone calls and did not give us a set date and time as to when they were going to perform the services. After inquiring with that company and them not returning our phone call, we contacted 307. 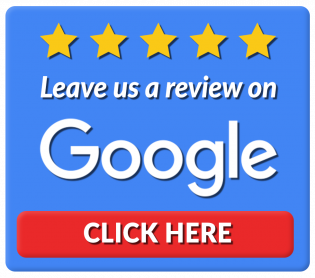 Upon meeting with Adam, he addressed all of our concerns and gave us an estimate on site and a timeframe as to when they could complete the services. Phone contact was easily made and Adam returned any of our phone calls or text messages. The day they arrived to do the work they arrived on time and were very professional with their services and their cleanup at the end of the job. Upon completion Adam touched base with us to verify if there was any additional concerns or issues that we had so that he could get them handled promptly. We are very impressed with 307 Tree Service and would recommend their services to anyone looking to have tree trimming or removal. Great great service and price. My two ginormous trees look amazing. Adam was responsive and professional - showing up when he said he would and doing the job he said he would do. Unlike another service that stood me up and then called several days later with a lame excuse. Adam is the real tree deal! Adam, and his crew, did a perfect job removing a MONSTER cottonwood tree between my house and the neighbors. The tree would have eventually damaged both houses, and taken out my power service. It was well worth the fair price they charged, not to mention, my homeowners insurance is happy to see it gone. They were professional, clean, courteous, and reliable. I will not hesitate hiring them in the future. Also, I Will Not miss having to chase a few thousand leaves off my, roof, gutters, lawns, planters and driveway this fall; it's already made a huge difference, and it has only been a few days. 307 Tree Service did an excellent job removing several large trees and stumps for us! They were extremely professional and fair in price sticking to their quote even when the job turned out to be more entailed than expected! I would recommend them to anyone! Adam met me at my residence very friendly and professional. Looked at the tree in question and gave me not one but two quotes which I thought was fantastic. My only disappointment was February was his next opening. Adam realized the concern I was having with the tree falling on my new house. Placed an ASAP order on the tree which I thought was very kind of him. To my surprise the tree was down within a weeks time even in the hurricane force winds we were having. Adam fantastic job and THANK YOU very much. I would recommend this gentleman and his company to all my friends. Need Stump or Tree Trimming and Removal? Copyright © 2019 307 Tree Service LLC, all rights reserved.